Do you Yahoo? Millions of computer users Yahoo every single day, but when Terry Semel took over as chief executive officer (CEO) of Yahoo! Inc. in 2001, he was not one of them. In fact, Semel knew very little about computers. When he received an e-mail, one of his assistants would print it out and Semel would scrawl out a written reply. Nevertheless, when Yahoo, one of the biggest Internet service providers, was struggling to survive in the cutthroat on-line industry, it turned to Semel. His more than thirty-year track record as an entertainment executive was unparalleled. By 2004, after a string of shrewd mergers and a creative organization redesign spearheaded by Semel, Yahoo was back in the game. Its stock prices were on the rise and analysts predicted a healthy future. Semel, the man who had barely ever surfed the Net, was given all the credit. The man who resurrected Yahoo was born on February 24, 1943, in Brooklyn, New York. His father, Benjamin Semel, was a women's coat designer; his mother, Mildred, was an executive at a bus company. In 1964 Semel earned a degree in accounting from Long Island University in Brooklyn, New York. He briefly worked as an accountant, but soon became bored. When a friend told him about a sales training program offered by Warner Brothers, one of the top movie studios in the United States, Semel did not hesitate to change careers. As he explained to Fred Vogelstein of Fortune magazine, the Warner program offered him a "chance to learn about marketing and sales, which I was interested in." Semel simultaneously attended City College of New York in New York City, where he earned a master's degree in business administration (MBA) in 1967. Semel's early days at Warner were spent on the road as a movie salesman. He traveled across the country with a list of upcoming Warner features, and talked theater owners into buying what hopefully would be the next box-office hit. Semel was such a whiz at sales that he caught the attention of other entertainment companies. In 1971 he became domestic sales manager at CBS-Cinema Center Films. Two years later he was named vice president and general sales manager of Buena Vista, a division of Walt Disney. In 1975 Semel was lured back to where he had begun: Warner Brothers. That same year he met Robert Daly, the man who would become his future business partner. "We're not going to be crushed by anyone but our own ineptitude." At first Semel was in charge of Warner distribution. Within five years he and Daly were running the entire studio. In 1982 Semel was named the company's president and chief operating officer (COO). In 1994 he became co-chair and co-chief executive officer (CEO) at Warner, sharing the duties with Daly. From the late 1970s to the late 1990s, Semel and Daly were known as one of the most powerful duos in Hollywood, and were responsible for turning Warner Brothers from a successful movie studio into an entertainment giant. As Vogelstein commented, "The twenty years that Semel and Daly ran Warner will probably go down as one of the longest and most successful partnerships in Hollywood history." In the 1970s, before Semel and Daly took the helm, Warner Brothers was bringing in about $1 billion a year, with most of the studio's revenue coming from its films and its record label, Warner Brothers Music. Semel and Daly changed all that, effectively transforming the way movies were made and marketed, and how studios functioned. The duo expanded Warner Brothers into international markets, extended the music division to include hit record labels such as Elektra and Maverick, and broadened the company's entertainment arm to embrace television. Warner Brothers Television was responsible for producing many popular network TV series, including China Beach, E.R., and Friends. In 1995 Semel and Daly went one step beyond and launched the Warner Brothers (WB) Network, which created original series aimed at a younger audience. Perhaps the most revolutionary thing that Semel and Daly accomplished was to turn Warner Brothers into a brand name. Warner Brothers Studio Stores popped up across the United States and carried all kinds of merchandise, from shirts to hats to neckties featuring well-known Warner Brothers animated characters such as Bugs Bunny, Daffy Duck, and Scooby-Doo. Semel and Daly also saw the potential in movies as merchandise, and began selling various products related to the movies they made. In 1989 they took a chance on an unknown director named Tim Burton (1958–), and brought Batman to the big screen. The film was incredibly expensive to make, but it became one of the most successful movies of all time. It was also a merchandising gold mine, setting the standard for the way filmmakers of the future would finance and market their movies. By the late 1990s, under Semel and Daly's guidance, Warner's annual revenues had grown from $1 billion to approximately $11 billion. The company had expanded as never before, and its film division was in peak form. In addition to Batman, Semel and Daly had green-lighted some four hundred films. Some were blockbusters like the scifi thriller The Matrix (1999); at least thirteen were nominated for a Best Picture Academy Award; and three actually took home the top honor. Semel and Daly were the toast of Hollywood, and were consistently named to the power lists of the entertainment business. Yahoo was founded in 1994 by two friends at Stanford University, David Filo and Jerry Yang. 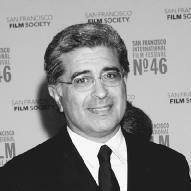 Filo, like Terry Semel, is very quiet and avoids the limelight, rarely giving interviews. Yang is the more outgoing of the two and acts as the company's cheerleader. Both men still take an active part in the company, although Filo prefers to focus on the technology end of things. His title is key technologist. Yang sits on the board of directors and works closely with Semel to direct the company's business focus. The title the two men share and the one they gave themselves is that of Chief Yahoo. David Filo was born in 1966 in Wisconsin to Jerry and Carol Filo; Jerry was an architect and Carol an accountant. The family soon moved to Moss Bluff, Louisiana, where they lived in an alternative community setting along with several other families. In 1988 Filo earned a bachelor's degree in computer engineering from Tulane University in New Orleans. He then moved to Palo Alto, California, to study at Stanford University, where he met future friend and business partner Jerry Yang. Yang was born Chih-Yuan Yang in Taiwan in 1968. His father died when he was only two years old and he, along with younger brother, Ken, were raised by his mother, Lily, an English and drama teacher. When Yang was ten, Lily moved her family to the United States, settling in a suburb of San Jose, California. At first Yang spoke only Chinese, but he learned English quickly, and earned straight A's in school. After graduating from high school he attended Stanford where, in 1990, he simultaneously earned bachelor's and master's degrees in electrical engineering. While they were doctoral students, Filo and Yang shared an office at Stanford. The "office" was a trailer filled with pizza boxes, golf clubs, and dirty laundry. Of course the office also housed their computers, which they nicknamed Akebono and Konishiki, after their favorite Sumo wrestlers. This was in the early days of the Internet, and Filo and Yang were soon hooked on the new technology, often spending hours surfing the Net instead of focusing on their Ph.D. studies. The World Wide Web, however, was difficult to navigate, because it was a mishmash of uncategorized data. Because they used the Internet so much, Filo and Yang decided to create an index of their favorite Web sites, a kind of roadmap that would help them get to their sites more easily. They designed some simple software that organized the Web pages by subject, and they launched their own Web site, called "Jerry and David's Guide to the World Wide Web." Since the Web site resided on the Stanford server, Stanford students quickly began to use the helpful new tool. Other users stumbled on it, and within months the site was attracting thousands of people who were looking for a way to locate their favorite Web pages. Because their site was visited so often, Filo and Yang decided to change the site name to something a little simpler. After searching through the dictionary they found the word yahoo and decided to poke fun at themselves, since a yahoo is an unsophisticated person. The newly-named Yahoo continued to attract more users, and began to attract the attention of on-line companies such as America Online (AOL), who offered to buy the service. Filo and Yang, however, retained ownership of their creation, and continued to work up to twenty hours a day to make Yahoo an even better search engine. David Filo (left) and Jerry Yang. entrepreneurs who wore jeans to the office and worked barefoot late into the night. Along the way, Filo and Yang forever changed the way people view the Internet. Yahoo eventually grew from a search engine to becoming an Internet portal for people to access the World Wide Web. Today, Yahoo offers personalized Web pages, e-mail, chat rooms, and message boards. Users can log on to get any kind of information imaginable, from finance reports to a song by a favorite music artist—all in a fun, slick environment. And the thanks go to Filo and Yang, just a couple of Yahoos. In 1999, however, the dynamic duo's tenure came to an end. Semel and Daly had survived many twists and turns in the Warner Brothers organization, including the company takeover by Time, Inc., in 1989 and the Time Warner merger with Turner Broadcasting in 1996. But in July of 1999, during contract negotiations, the pair decided to leave the company. Some insiders claimed that they were forced out after a string of less than successful movies. Others speculated that Semel and Daly were not happy with the diminished role they were expected to play at Time Warner in the 2000s. Nevertheless, when they called it quits, it was the end of a Hollywood era. As Time Warner president Richard Parsons commented in Time magazine, "It's kind of like the '98 Yankees. It was a beautiful season. And every season comes to an end." After he left Warner, almost every major studio set its sights on Semel, who was known in the business as a master negotiator. Semel, however, was embracing his newfound freedom. As he told John Greenwald of Time, "For the first time in my life I will not have a contract, a road map to follow. This could be the first time I can choose what direction I'm going in." The direction he chose was the Internet, a new medium with untapped potential. Semel launched his own technology investment company called Windsor Media and immersed himself in his newfound field. When Yahoo went looking for a new CEO in 2001, Semel was not the man who came to most people's minds. The company was established in 1994 by two graduate students, David Filo (1965–) and Jerry Yang (1968–), who were looking for a way to organize the maze of Internet addresses on the World Wide Web. Over the years Yahoo had become a successful provider of Internet and Web-based services, and its owners were millionaires many times over. But with competitors such as Google nipping at their heels, and the bottom dropping out of the computer industry in the late 1990s, Yahoo was feeling the crunch. In January of 2000 Yahoo stock was valued at $235 a share; by mid-2001 it had plummeted to less than $11 per share. When Semel replaced Tim Koogle as CEO in April of 2001, it may have come as quite a shock to many, but it seemed the logical choice for Jerry Yang. Yang had met Semel in 1997 at an annual media conference in Sun Valley, Idaho. Semel wanted to learn more about the Internet and Yang was impressed by Semel's keen business sense. The two became fast friends, and Semel became something of an unofficial Yahoo advisor. Yang knew that bringing Semel into the fold would cause controversy, but he believed it was worth it. "Everyone talks about what [Semel] did with movies and entertainment," Yang remarked to Fortune, "but what he really did was pioneer how to take a piece of content and get it out there. He had a distribution mentality, which at the end of the day is what Yahoo does on the Internet." Semel did not immediately jump at Yang's offer. He met with company executives and board members, and considered the option carefully. He obviously did not need the money; when he left Time Warner he was a multimillionaire. According to former partner Robert Daly, who spoke with Jim Hu on the CNET News Web site, "Terry was not looking for a job, he was looking for a challenge." Indeed, Semel likened Yahoo to the early challenges he faced at Warner Brothers. As he told Hu, "I think Yahoo has great, strong core assets, and it was those assets that fascinated me and brought me to the table. I love building things and I will look forward to building those assets into a much larger and more diversified company throughout the world." When the fifty-eight-year-old Semel took the helm of the Sunnyvale, California-based company, he faced a major culture shock. For starters, he was twice as old as the average Yahoo employee. The Yahoo headquarters was something of a giant college campus. A purple cow greeted visitors in the lobby; there was a cubicles-only rule, which meant that all employees from the top down worked in the same equal-sized space; and meetings were usually free-form. The buttoned-down Semel quickly changed the rules. He created his own private office space and he rarely popped in to so say "howdy" to fellow employees the way former CEO Tim Koogle did. Not surprisingly, many employees were suspicious of the non-techie stranger in their midst. Perhaps their suspicions were well-founded, since Semel lost no time in trimming the ranks. He laid off more than 12 percent of the Yahoo workforce and reduced the number of divisions from forty-four to only four: media and entertainment; communication; premium services; and search. He discontinued the many free-form meetings, where ideas had been launched with no coordination across the company. He created the Product Council, a sort of executive sounding board through which all new ideas had to pass. This ensured that each division head knew about every proposed initiative, and that each initiative was in line with company standards and policies. During all the changes, Semel took time to learn the lingo. One-hour meetings turned into six-hour marathon sessions, as Semel went over and over the technology terminology. As Jeff Mallett, Yahoo's former president, told Fortune, "He'd stay in that conference room for hours until he got it. I think he learned three years of information in six months." So, while he may not have been making great friends in the company, Semel was earning the respect of his colleagues. Semel quickly proved that his vision for the company was sound, as he expanded into new areas. When he came on board, 90 percent of Yahoo's revenues came from on-line advertising, which Semel thought was a shortsighted and rather dangerous way to do business. When the stock market becomes shaky, advertisers tend to pull their advertising, and this greatly contributed to Yahoo's downward spiral in 2000. Semel focused his energies on offering premium services to on-line customers that would require them to pay extra fees. For example, in late 2001 he struck a deal with phone company SBC Communications to offer high-speed Internet access to Yahoo customers. In addition, Semel made some bold acquisitions. In December of 2001 he launched a takeover of Hotjobs.com, a deal that cost an estimated $436 million, but one that made Yahoo a formidable force in the lucrative world of on-line classifieds. In 2003 Semel positioned Yahoo to take on Google, the monster of all search engines, when he purchased Inktomi and Overture Services, two leaders in the Web search business. Yahoo executives were eager to launch the new Yahoo search engine, a tool that helps on-line users search for information on the World Wide Web, but Semel proceeded with his usual caution. He insisted that company engineers test and retest the system before offering the product to Yahoo customers. He told Fortune, "We didn't get into search to do what everyone else is doing. We got into search to change the game." By mid-2004, only three years after Semel joined Yahoo, the company was in a complete turnaround on all fronts. Its annual revenues doubled from $717 million to $1.4 billion; stock prices rose to more than $40 per share; and for the first time ever, the company appeared on Fortune magazine's annual list of the thousand largest corporations in the United States. The new-and-improved Yahoo was attracting 133 million registered users a month, and more than 150,000 advertisers had come on board. Semel the media mogul had become Semel the on-line mastermind, and as BusinessWeek proclaimed in late 2003, investors were once again saying "Yahoo!" "David Filo Biography." Business Leader Profiles for Students. Vol. 2. Farmington Hills, MI: Gale Group, 2002. "Jerry Yang Biography." Business Leader Profiles for Students. Vol. 2. Farmington Hills, MI: Gale Group, 2002. Greenwald, John. "Out of the Pictures: Warner Brothers' Legendary Bosses Semel and Daly Exit Time Warner." Time (July 26, 1999): pp. 68–69. Stone, Brad. "Learning the Ropes." Newsweek (July 30, 2001): p. 38. Vogelstein, Fred. "Bringing Up Yahoo." Fortune (April 5, 2004): p. 220. Hu, Jim. "Semel: The New Yahoo on the Block." CNET News.com (April 17, 2001). http://news.com.com/2100-1023_3-255995.html (accessed on May 28, 2004). Hu, Jim, and Stephanie Olsen. "Guiding Yahoo from Adolescence to Adulthood." CNET News.com. http://news.com.com/1200-1070-959427.html (accessed on May 28, 2004). "Terry Semel, Yahoo!" BusinessWeek Online (September 29, 2003). http://www.businessweek.com/magazine/content/03_39/b3851604.htm (accessed on May 31, 2004). Yahoo! http://www.yahoo.com (accessed on May 31, 2004).